Recently I had the pleasure of shadowing staff at London City Airport to see what goes on behind the scenes this at busy Docklands airport in the middle of the city. In this first post, we look at what goes on immediately prior to opening the airport to aircraft each morning. 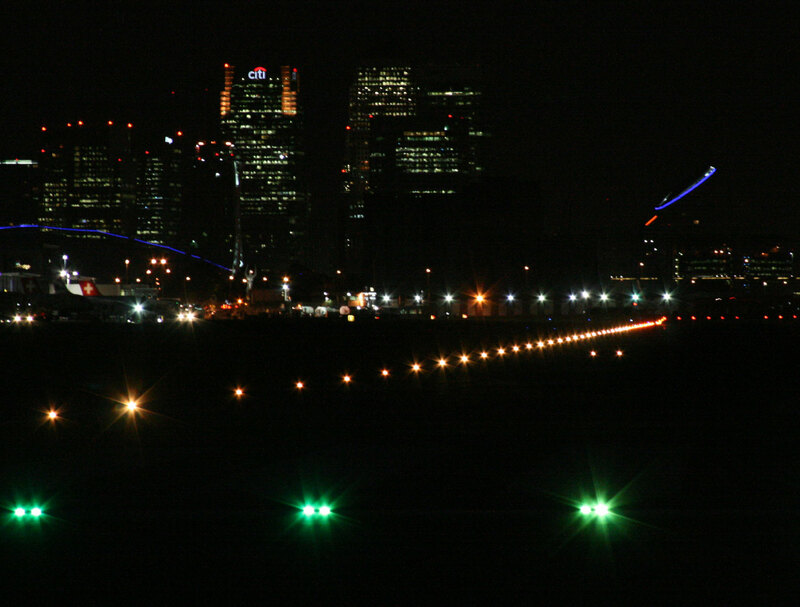 London City Airport is principally a business airport – currently with a 60% dominance over leisure passengers. It is therefore incredibly busy during the early morning hours as people travel out to various European cities, and arrive in to the heart of London. This airport is the only one with a London postcode, and is only a few miles from the skyscrapers around Canary Wharf. The morning rush hour is generally between 0600-0930, and so it is imperative to inspect the airport prior to its opening to traffic. Upon my arrival at 0530 I met Mia, who is the Controller this morning, and Nick, who is training in the role. Her first task is to check the weather and any urgent e-mails or messages, and then set off for an inspection of the runway and taxiway lighting. I tagged along to observe. 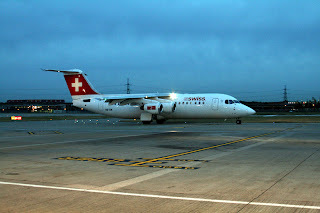 It was still dark outside, and the ramp was full of airliners being prepared for departure. We drove out to the end of runway 09 to check the approach lighting, followed by a sweep along the runway to check the opposite end. We made a number of passes, checking the side lighting, stopbar lighting, taxiway lighting, and looking out for any FOD (Foreign Object Debris). During the colder winter months, the team also make sure the whole airport is de-iced. Their responsibility is safety. These checks are repeated throughout the day, but the first one is vital to ensure the airport is safe to open. 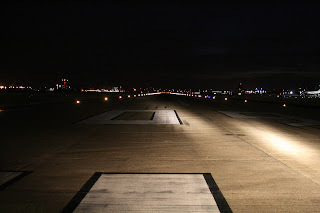 Shortly before 6am, we made one last check and then Mia radioed to ATC to declare the runway safe, its water condition, and inform them that they now have control of the airport. 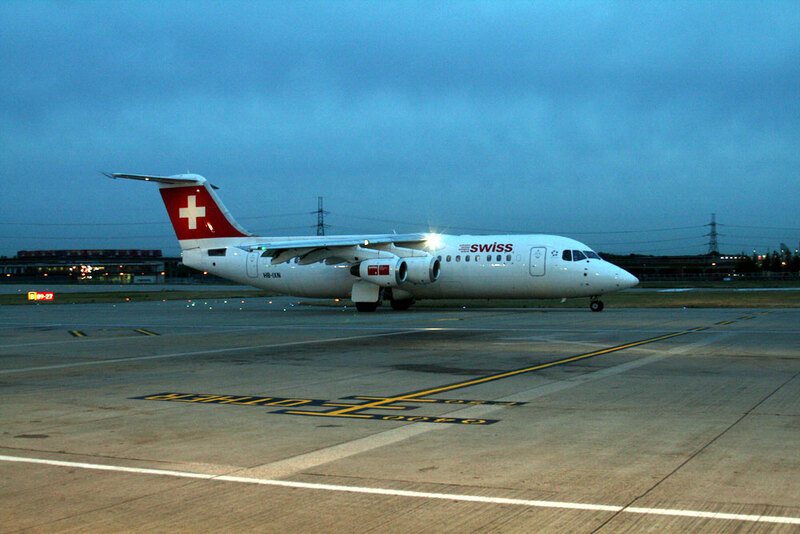 Only minutes after this handover, the first departure of the day – Swiss European RJ100 HB-IXN started taxiing to the runway for its departure to Zurich. Moments later, the first arrival also appeared on final approach to runway 27. Situated in a corner of the terminal building with quick access to the ramp, the Ops Room is home to a number of key staff who continually monitor the airport throughout the day – responding to incidents, issues arising from any of the daily movements, inspecting the runway, and noise emission checks (London City is surrounded by housing). They also look after permits, vehicle maintenance, wildlife data and and gun licenses for controlling this, and a document library. 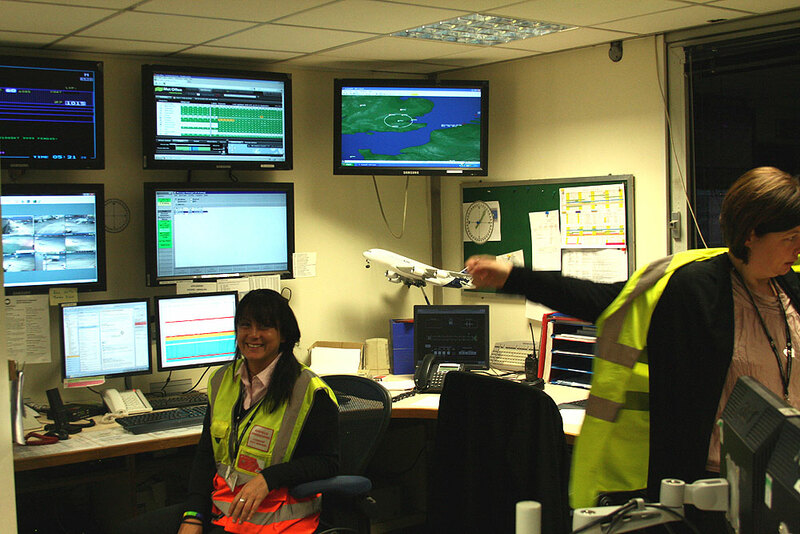 One person always sits in the ‘chair’, monitoring a variety of telephones and radio equipment, screens showing live cameras, aircraft radar, weather information, NOTAMS (Notices to Airmen), and live flight details; it really is the hub of keeping this busy airport operating. Whilst the busy period subsides for a few hours, the evening can be just as hectic and a fresh crew take over for this shift during the afternoon. Every Sunday, when the airfield is closed for the morning, the team will undertake a ‘walking inspection’ of the runway, noting any defects and often dealing with them on the spot where possible. Otherwise, this period is when contractors and workmen are called in to perform any airside repairs and maintenance.